FAW Circle 2 Factory Wavetables for Pigments, Serum, Dune, Synthmaster, Hive has been exclusively released on AudioZ by Amirious who chose to ask not to post mirrors. I doubled the length of the wavetable because the position knob in Pigments didn't work smoothly with 2048 samples. 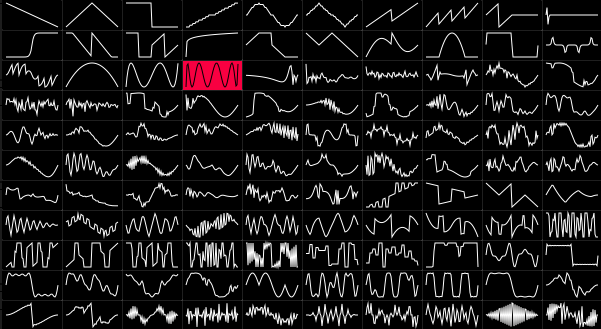 download this file if you just need the wavetable. thanks, I will try these. much appreciated. I have the galbanum pack.. it's crazy how they might have coded some tools to create x variations between 2 wavetables. Once unrared, it takes an eternity to even count files. i wish there was a simple tool to convert any wavetable to Dune format. i wonder how different these wavetables are, compared to the small sample files used by instruments like the motif... Roland xv ...korg stuff... i know the motif uses tiny little sample/wavetables/? , like 32khz / 8bit, with high-pass and lowpass applied...and despite the microscopic size, many patches can sound wonderfully. and despite the microscopic size, many patches can sound wonderfully. The wave is in a path and many other elements are part of the sound. Filters, envelopes etc.. and even converters. Yes the amount of content in a Galbanum pack is crazy and sometimes waveforms are not that much usable for typical sound design needs. For example some waveforms have inverted and reversed and reversed inverted version of a shape and in a wavetable synthesizer, all 4 of them sound exactly the same. Regarding Dune wavetable convertion, Dune 3 has built in wavetable editor like Serum and there's a wavetable editor for Dune 2; it's called Audioterm. Sorry to bother you, but how do you install these wavetables in Pigments? I'm on macOS 10.14.3.